Here’s an idea… it’s Friday and instead of letting the kids have all the fun, why don’t you dress up? I mean really dress up. 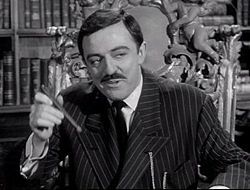 I may pull out the drapey, blue chalk stripe flannel double-breasted suit and claim I’m Gomez Addams for the day. 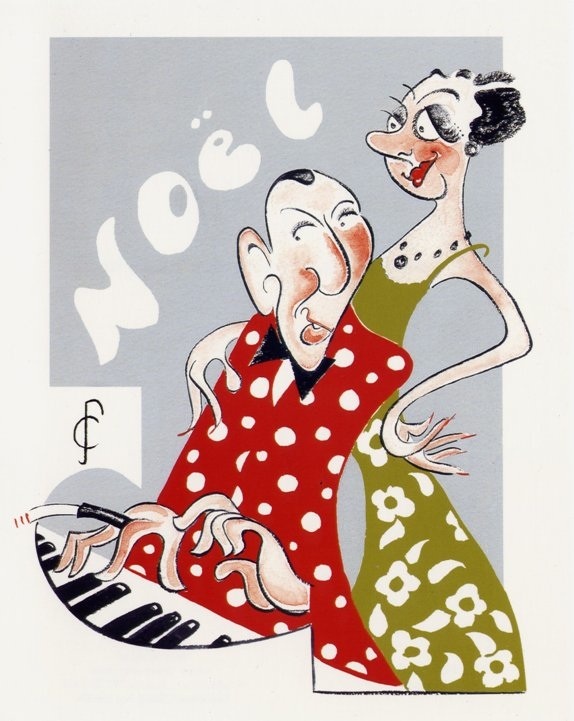 Or I may spend it lounging about in my bottle green velvet smoking jacket or dressing gown à la Coward. 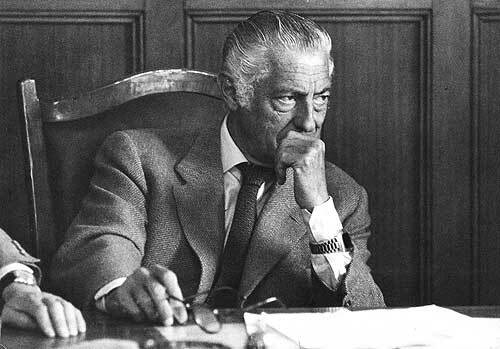 Or maybe I’ll channel my inner Gianni Agnelli and wear my watch over my cuff. 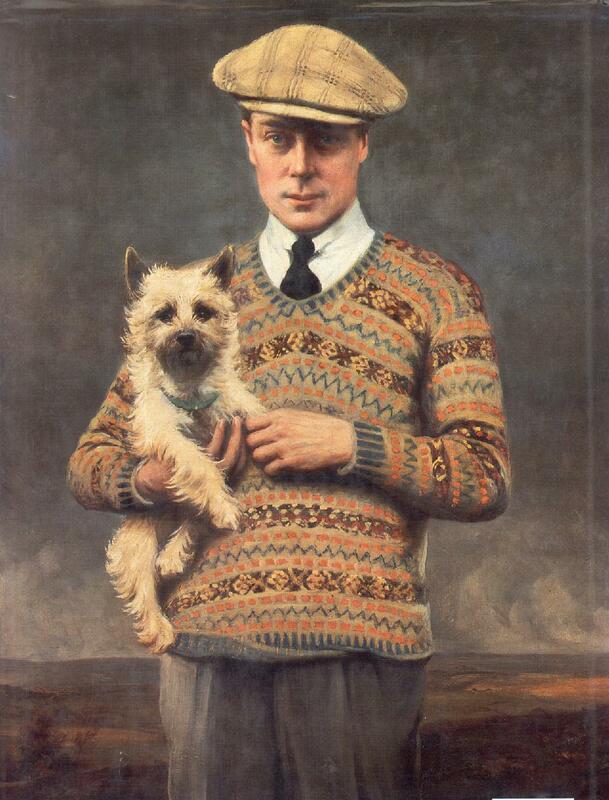 Or don the Fair Isle vest and several other patterns in homage to the Duke of Windsor. Whatever route you take, today is the day that you won’t be accused of drifting into costume territory. Become your co-workers’ worst nightmare. Overdress for work and play a little today. This entry was posted in Elegantology and tagged Costumes, Hallowe'en. Bookmark the permalink. Hello Ms. H., Thank you! I’m pleased to return the favour. Enjoy your stay and please feel free to chime in whenever and wherever you feel the need. I learn a lot from my readers. What a lovely idea, Elegant — such fun, good spirited advice 🙂 And I would say the Duke of Windsor, simply because I’m an incurable anglophile and I’m certain you would pull if off beautifully. Ooh, go with the Duke! A sure winner, that one. This post was delightful…pity I saw it four days too late! I did go with suede shoes, a POW plaid jacket, striped shirt and tie. Bit I stopped there. Tracking down my daughter’s kitten ears and convincing my son to keep his “Speed Racer” helmet on took too much time! TW, it’s nice to hear from you again. The take-away is the same, even after the fact. Today, dressing well, is too often considered “costume.” It doesn’t have to be.